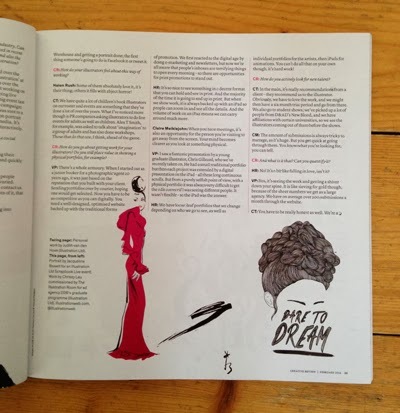 We have now moved our blog to the news section of our website, so for more posts on fantastic illustrators and their commissions please go here. Thank you for following our blog. 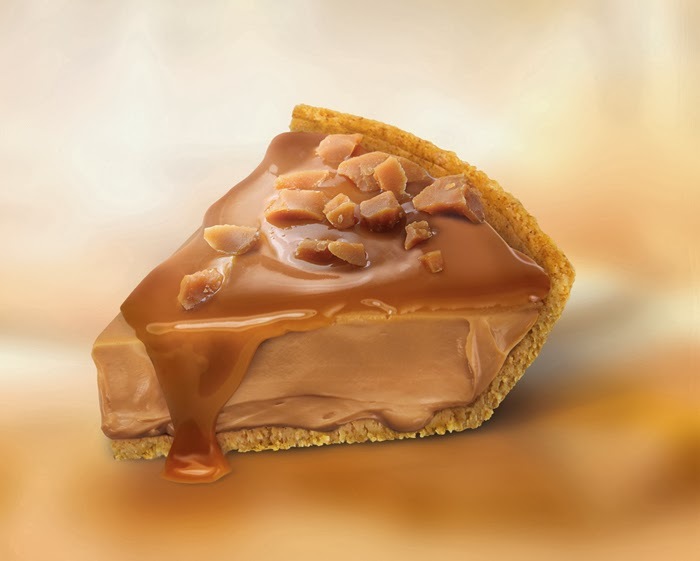 Check out the portfolio of Kim Martin, specialising in food & beverage work for consumer products & packaging. Yum! 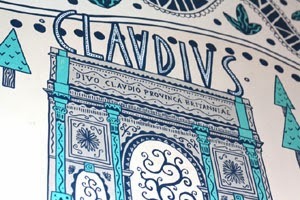 Zizzi Ristorante commission James Grover to create two murals for a refurbishment of their Colchester restaurant. 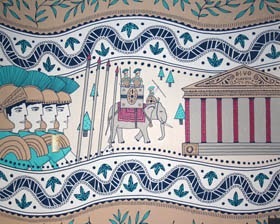 The first of the murals was inspired by Roman pottery and mosaics, James immersed himself in the history of Colchester (or Camulodunum as it was known in Roman times) to make this gorgeous decorative piece. 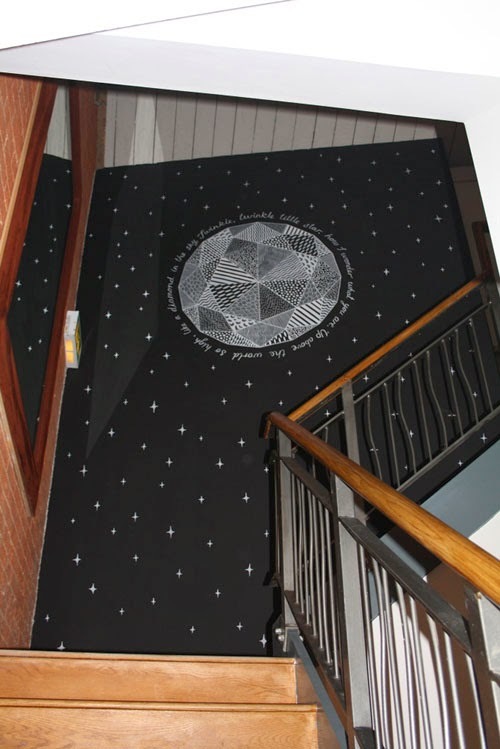 The second appears on the stairway at the restaurant, a star in the night sky with “Twinkle, Twinkle, Little Star” written around the edge of a diamond - originally written as “The Star” by English poet and former Colchester resident, Jane Taylor. Both works of art were painted using acrylic paint pens and emulsion, and surely transform the interior from restaurant to gallery! 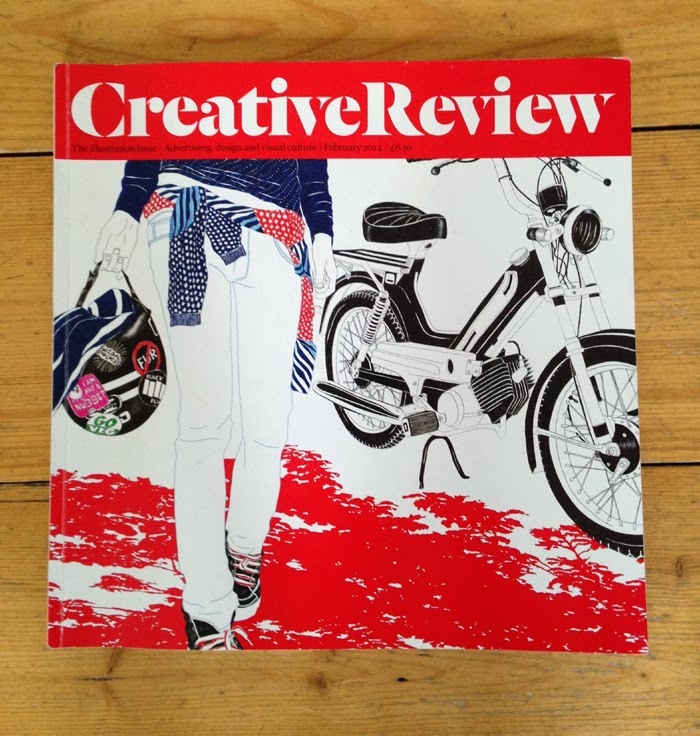 February's issue of Creative Review is an Illustration Special! 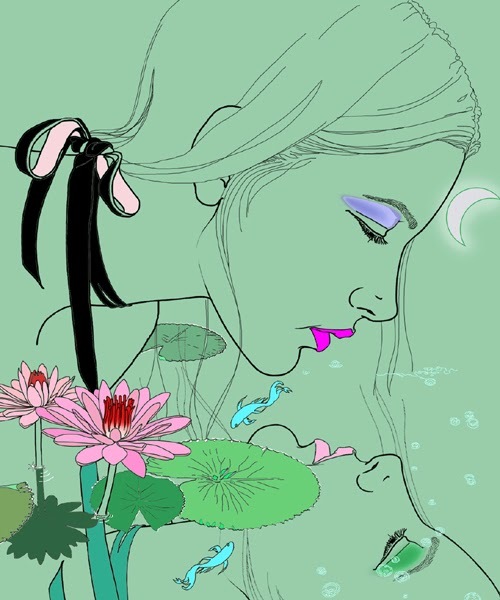 Montana Forbes completes a set of horoscopes for IKON images. The three here; Sagittarius, Pisces and Gemini are just a taster of the beauties Montana has created for the company who primarily deal with stock imagery. 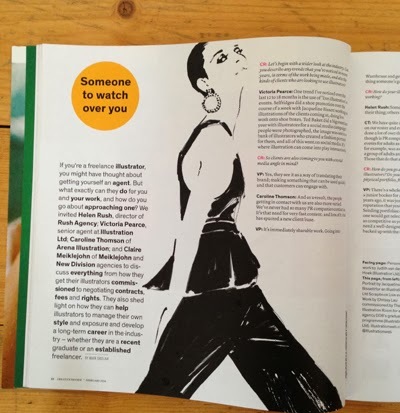 Montana says "I’ve always had a keen interest in the horoscopes and was really excited to tackle the subject matter for the very first time. 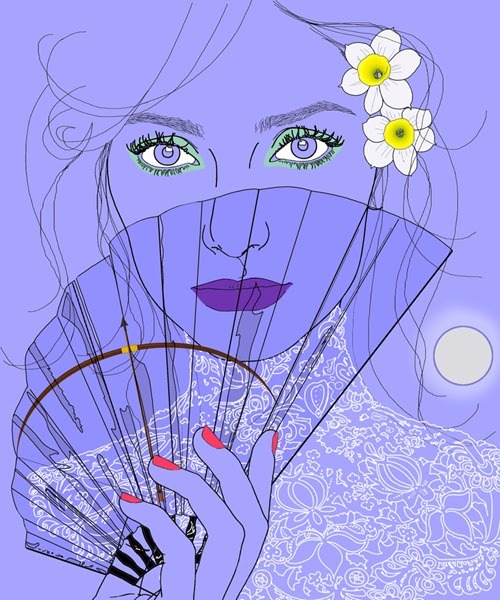 After much research, I was inspired to create unique fashion and beauty portraits that incorporated elements and characteristics associated with each sign but without them being clichéd depictions." See all twelve in Montana's portfolio. Kathryn Rathke completes two beautiful owl commissions using her confident and stylish line. Custom-designed urns maker 'Little Owl Urns' asked Kathryn to create a logo for the bottom of their ceramic and wooden pots; made for beloved pets. 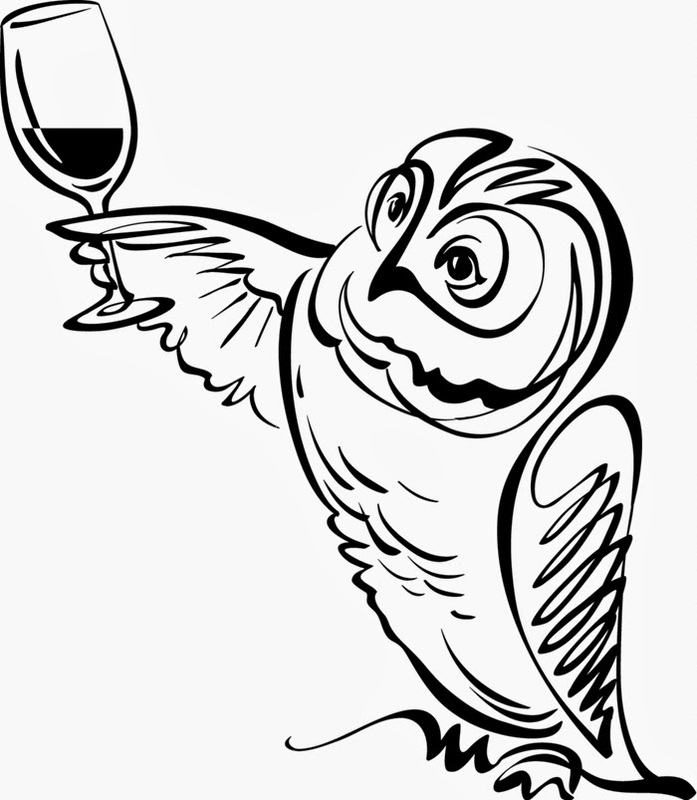 The second was for the wine merchant Rookwood and Perry in the Hudson River Valley to use as an advertisement for their shop. 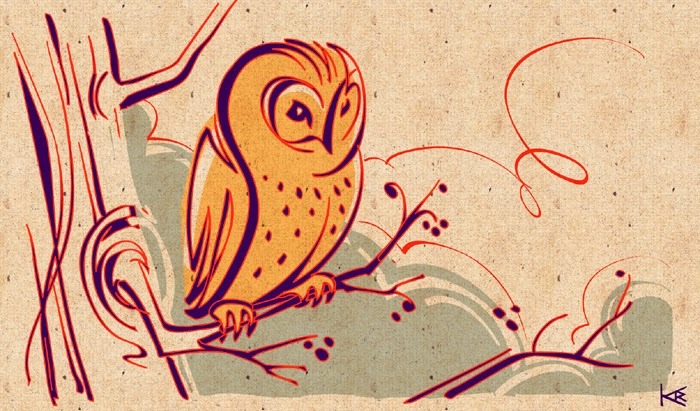 With the image of the nocturnal bird being used quite widely right now, Kathryn says "Owls are in the air!" 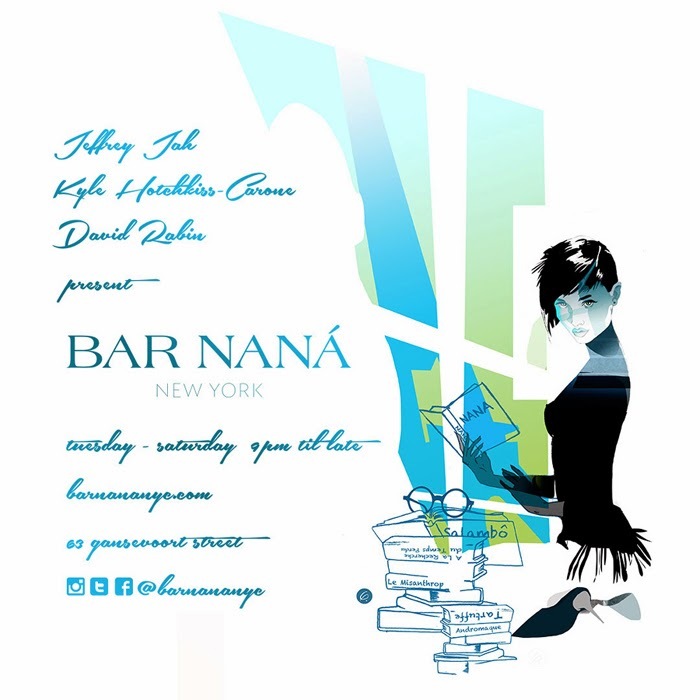 Fashion illustrator Gustabo is asked to create a contemporary face and persona for Bar Nana. The exclusive lounge and restaurant located in the meat packing district of New York, takes its name from the French Nana made famous by the novelist Emile Zola and director Jean Renoir. 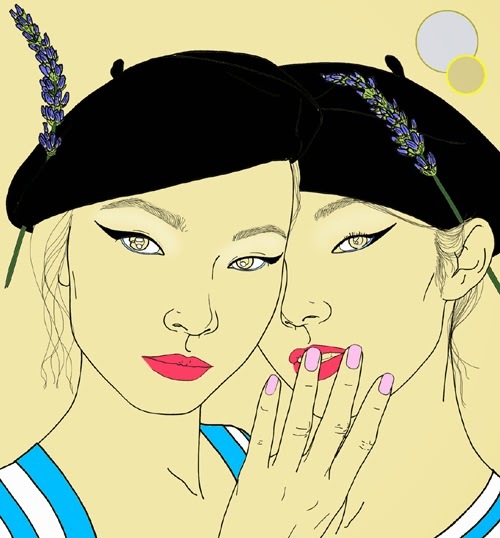 Gustabo has used his sophisticated style to illustrate the iconic female, which is being used by the celebrity, model and fashion insider's 'hang out'. 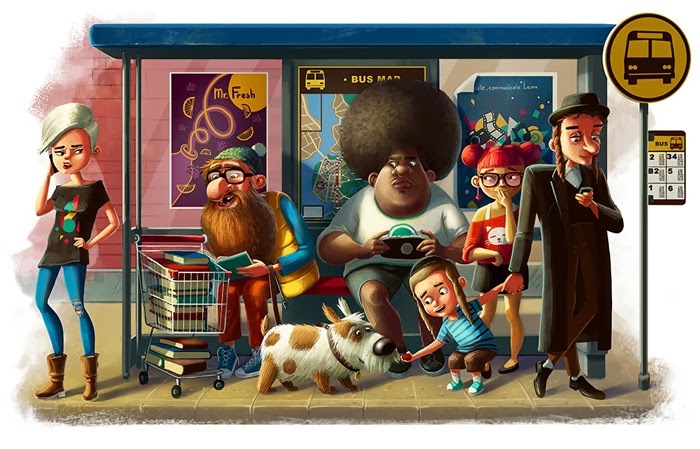 UK born, Massachusetts based illustrator Kena Ravel's artwork & characters are inspired by everyday life & stories. 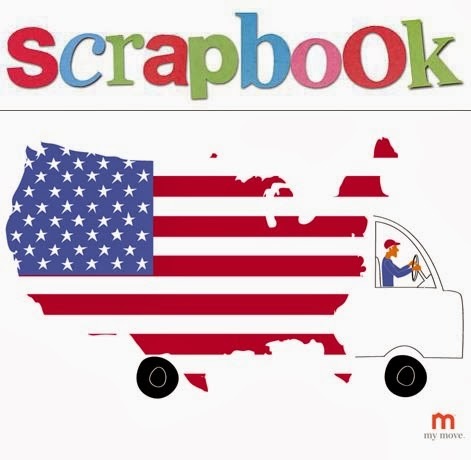 ..Kena Ravel's Scrapbook. Bill Greenhead's latest whiteboard animation is a music video for Free Swim. The group asked Bill to make a video for their latest rock track "Trans-Atlantic Tumnus", and of course Bill jumped at the opportunity. He says " The track gave me a chance to try out lots of new techniques in whiteboard art. I wanted to be able to place static objects and for them to spring into life. Lots of 3d animation with UFOs and robots. It's a fun track to animate." Watch the animation. 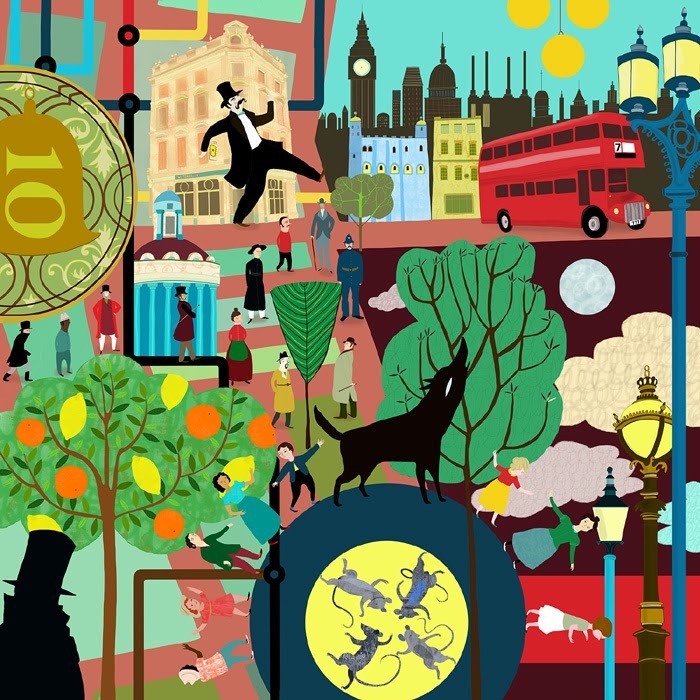 The London Transport Museum have been using Anne Wilson's city inspired image to advertise the lead up to the Serco Prize for illustration 2014. 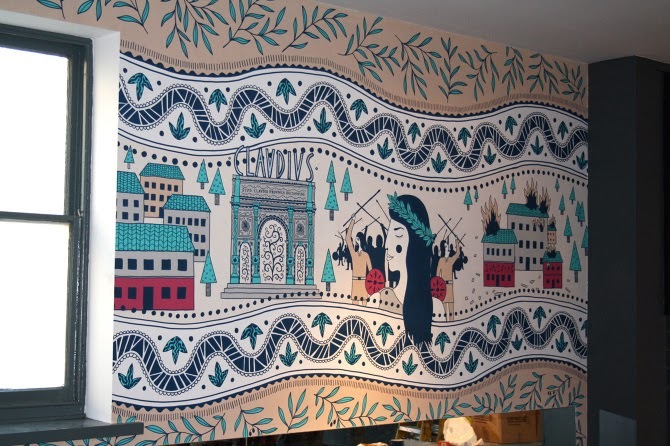 The theme for this year's competition is 'London Stories' with the winners announced mid February and the start of the exhibition based on the theme. Anne will also be running a workshop at the exhibition in the Transport Museum on the evening of the 14th February as part of the opening, which will include "a bar and DJ and storytelling for adults on board some of the heritage vehicles; a chance to illustrate your own London Story with short illustration workshops, and to strike a pose in a photo-booth with a choice of props". 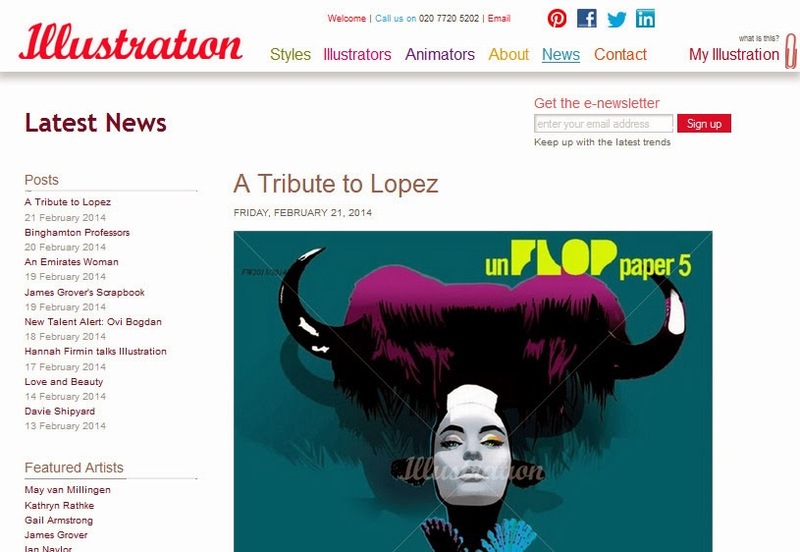 See the AOI website for more information. This fabulous label creation from Gail Armstrong is a personal project done as a "thank you" for some friends. 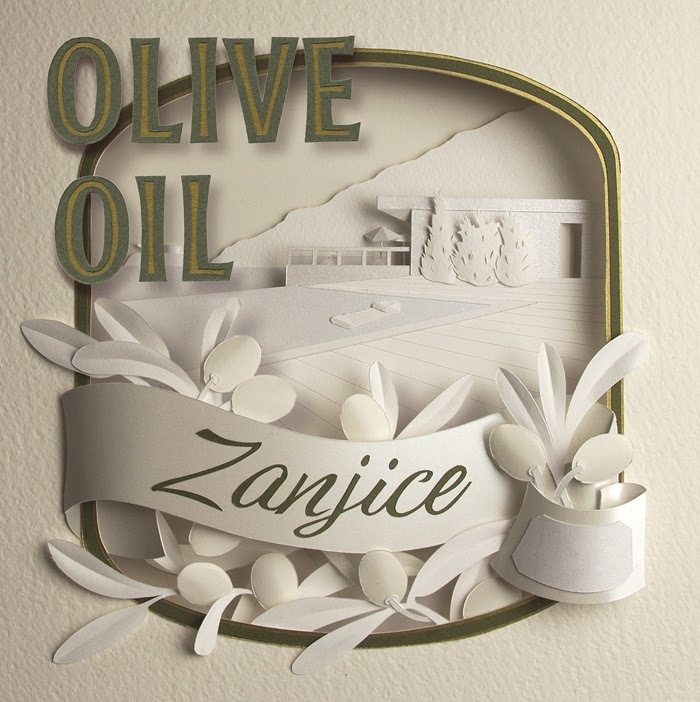 After a holiday last summer in Zanjice - a fairly cut-off part of Montenegro, Gail discovered that all the olives from the area were gathered from everyone's property at the end of the season and sent to the community press to be made into olive oil. 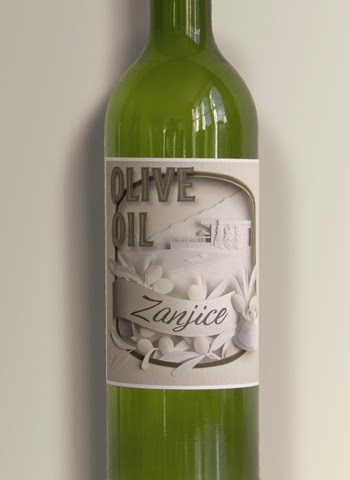 She says " However, the hand-written labelling left much to be desired, so as a "thank you" I created these olive oil labels. The paper sculpture scene is the view across the swimming pool of one of the landmark villas in the area and the ribbon flourish has a blank area where the date of pressing can be written."